New Zealand: Israel Dagg and Charles Piutau have retained their places from Apia but they are joined by a new winger in debutant Waisake Naholo. There is no Conrad Smith at outside centre so Ma'a Nonu slots in at No.13, one spot outside second five-eighth Sonny Bill Williams. Fresh from defeat in the Super Rugby final, TJ Perenara gets the chance to partner Dan Carter in the halves. Jerome Kaino, skipper Richie McCaw and Kieran Read reform their back-row combination once more, with Brodie Retallick the only change to the pack that started against Samoa. Argentina: Winger Santiago Cordero, No.8 Facunda Isa and lock Guido Petti Pagadizabal will each make their Rugby Championship debut in Christchurch, although each player already boasts Test experience. The remainder of coach Daniel Hourcade's match-day 23 has elements of class, particularly in the front- and back rows. Nicolas Sanchez, a standout from last season's campaign, will again pilot the side from No.10. A rare Friday night Test gets the shortened Rugby Championship started this season, with New Zealand playing host to Argentina in Christchurch. The locals have no doubt been hanging out for it, too, after the Crusaders' failure to advance to the Super Rugby play-offs for the first time since 2001. They don't take too kindly to a lack of top-quality rugby in the South Island, as the outcry over the British & Irish Lions fixturing can attest. Buoyed by the experience but not so much the performance against Samoa in Apia, the All Blacks will be keen to improve on last week's first outing. The Islanders wanted to show they were worthy of further Tier 1 visits and did so with a hugely physical approach that left a few All Blacks feeling a little worse for wear; New Zealand coach Steve Hansen also made the as will the scathing declaration that "a number of players weren't up to Test standard". The Pumas appear to be the perfect opposition against which to bounce back, as they will provide a similarly hard-hitting approach up front but with a little more set-piece polish. The South Americans are always a bit of an unknown quantity at this time of year, and they are likely to struggle for combinations themselves; still, a meeting in the Pool stages of the Rugby World Cup later this year means neither side will offer up anything close to their full deck of cards. 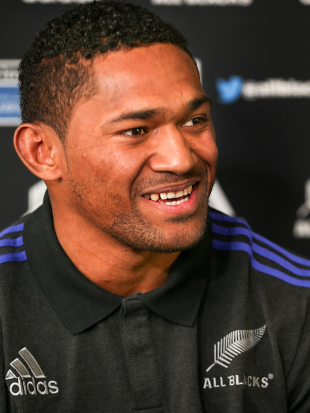 It was surely almost impossible for an uncapped outside back to add himself to the already overflowing list of contenders at the All Blacks' disposal, but Highlanders flyer Waisake Naholo finds himself in the No.14 jersey after 13 Super Rugby tries, countless clean breaks and a highlights reel the envy of just about every other player in the competition. The Fiji-born winger's Super Rugby form demanded selection, and he now has the chance to transfer those efforts to Test level in the absence of Cory Jane. Nicolas Sanchez, one of a number of Pumas players to sign with the country's fledgling Super Rugby side for next year, spent time with European champions Toulon over the 2014-2015 season. He acted largely as injury cover for the likes of Matt Giteau, Frederick Michalak and fellow countryman Juan Martin Hernandez but still played a vital role in their European Rugby Champions Cup and Top 14 campaigns. Sanchez was also the standout Pumas player of the 2014 Rugby Championship, and he will be keen to replicate those efforts - particularly against the incomparable Dan Carter. After an indifferent Super Rugby season blighted by injury, All Blacks full-back Israel Dagg must make the most of another opportunity in the No.15 jersey. The Crusaders custodian was likely one of a number of players Hansen declared "not up to Test standard" following a rusty showing against Samoa. With Ben Smith mounting an irresistible claim at full-back and Waisake Naholo and Nehe Milner-Skudder joining an already-crowded mix of wingers, Dagg can no longer rely on reputation alone. A refreshed Juan Martin Fernandez Lobbe will be keen to prove a point after he spent much of the European and Top 14 season stuck behind South African veteran Juan Smith at Toulon. The former Pumas captain is reportedly considering retirement after the year's Rugby World Cup but first needs to show he deserves a ticket to England in the absence of workhorse Pablo Matera. The emergence of No.8 Facundo Isa has also added to the depth in the Argentine back-row. The Pumas must assert themselves at set-piece time, both lineout and scrum, otherwise this could prove to be a long night in Christchurch. The visitors have the playing talent to match it with the All Blacks in tight, but quality ball to the hosts' backline could spell all sorts of trouble for a Pumas outfit short of a run. New Zealand props Tony Woodcock and Owen Franks are both under pressure, however, presenting an opportunity for the powerful Ramiro Herrera and Marcos Ayerza to upset the hosts' rhythm. The All Blacks have never lost to Argentina, winning all but one of their 20 encounters; the Pumas' best result being a draw in their second meeting way back in 1985. The All Blacks have been comfortable victors in each of the teams' past seven meetings, the world champions triumphing by at least 15 points on each occasion. Expect to see a much brighter showing from the All Blacks compared with that dished up in Apia last week. Dan Carter will have benefited from another run back at No.10 while the addition of livewire TJ Perenara should attract a little of the Pumas' defensive attention away from the playmaker. New Zealand by 20.